For you more than any other sign this week’s full Moon answers a call for freedom or a new experience that comes from within your soul. Full Moons always bring peak experiences and often decisions. If we have been thinking about an idea we had at the new Moon for example, then the full Moon often marks the point where we take action or initiate. It’s the point of commitment to a course of action, person or thing. Because this full Moon sets sail in your 9th – the house of long distance travel, adventure and learning, the ‘setting sail’ metaphor is a good one for you. You are embarking on something – a journey of discovery. This could involve all or some of the above themes as well as the media, sports, law, business and communications. Watch what news appears the day after as Mercury enters ruling its ruling sign and ruling house in your chart (3rd). It’s all systems go now. Mercury will also trine your ruler Mars in your socially minded 11th on the 1st. People could play a major role here or this journey is linked to a goal of yours. With this come the winds of change, rippling across your chart like a turning tide. Venus in your 4th is one of the most beautiful transits of Venus. It allows you to let down any barriers you may have to giving and receiving love. 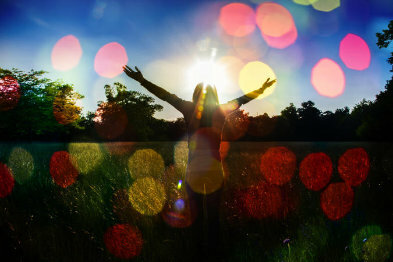 As you reach for freedom and a bigger experience this week, you feel more able to express and show emotions. The beautiful results can take the form of the lasting closeness you secretly crave. And once you have the fearless confidence to take them down, those barriers won’t need to go back up again. The voyage isn’t just one of discovery this week, it’s an emotional one too. So set sail into an uncharted sea of love now. 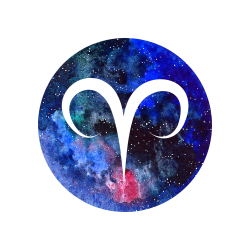 In a nutshell: This week marks the start of an important journey, Aries. You are about to embark on something new. Set sail towards emotional freedom this week. Change brings freedom no matter how it arrives. Yes, it may sometimes be difficult to understand how change can benefit you, especially if it appears as something unwanted. But the ultimate goal of change is always to release you into something better. 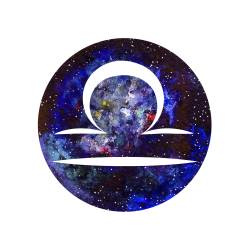 The change you are experiencing could revolve around your money this week as a full Moon takes to the skies in your corporate money, pay-outs and shared resources sector. Full Moons are always about decisions but remember the Moon rules our emotions too. This one could stir up deep feelings around change and also quite literally your ‘change’ as in your bank account. Your money sector is about to receive a major transaction from Mercury who enters here the day after the full Moon. Full Moons reflect so the light of the Moon always illuminates the opposite house to the one the Moon is in. How you feel about your money and changes to how you may earn this or even what you value is therefore at the heart of all this. Just remember, the 8th is your house of personal power and negotiation. This is where you need to operate from even as you are looking at the bottom line. The result could see your bank account and workload increase or a new source of income open up. 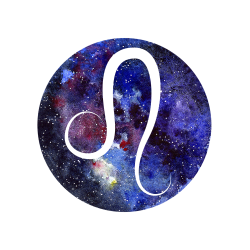 While you may be keeping emotion out of business, love is what binds the rest of your chart together this week. Venus in your 3rd won’t just boost work and business opportunities, she gets you flirting and talking love too. The planet of love trines Jupiter in Venus’s ruling 7th and Neptune in your 11th of social life and goals. Make a wish under this Grand Trine because it’s all about following that feeling. The feeling of attraction you have for someone. The hunch you should accept that invitation. The tingle that tells you that someone is about to call or that intuitive nudge to call or connect to someone. The force of love is generated by change. Set it in motion now. In a nutshell: That cycle of change gets up close and personal this week. No matter what form it takes, don’t resist it as it is designed to bring you new opportunities in love and with your income. A full Moon of attraction sails across your 7th of partnerships this week. Full Moons bring decisions, choices to be made and culminations. They also act as mirrors and when one appears in our 7th, the light is reflected back on us as of course, the 7th opposes our 1st house which is us. We can draw desires and dreams including our ‘other half’ to us under a full Moon. This is an excellent night for a moondance with someone you have recently met or date night if you are settled. This full Moon allows you to tune in to the needs of those close to you. You’re in an emotionally resonating mood and can anticipate their needs. Partnership decisions can be made and this includes business partnerships and any close working relationship. It is an excellent Moon under which to bring collaborative or work projects to a conclusion. 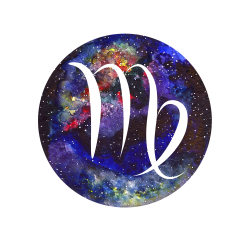 Ruler Mercury enters your 1st the following day. Time now to look at you, what you say and above all, how you market yourself and get your ideas or message across. 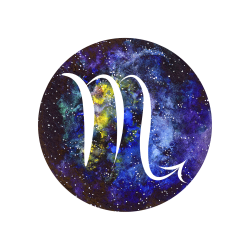 With Mercury making an angle of expansion to Mars in your 9th at the very beginning of June it’s time to ask two important questions: What do I believe in and What do I really want? When you have the answers to both then you have the green light to go for them. Be honest here as it is all about YOUR wants and what you heart truly believes in. Rewards could be on their way now as Venus in her ruling 2nd is about to make some money and career enhancing moves to Jupiter in your 6th and Neptune in your 10th. The insight that comes from believing in yourself and knowing the action you need to take allows you to focus and what’s not right for you to just fall away. Drawing what’s meant for you to you. And that includes success this week. In a nutshell: Ruler Mercury arrives in your sign and it’s time to pay attention to what you say, your ideas and how you get these across. What you truly want should power what you say. Get talking. 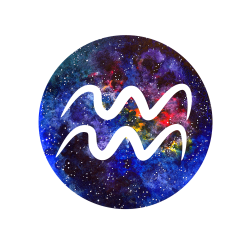 Delve deep into insight and intuition and bring your considerable gifts in this area to bear on your daily work, responsibilities and wellbeing this full Moon, Cancer. This also includes focussing on your pets if you have any. There’s something bigger to be discovered here. Yes, your 6th house in which this full Moon appears is very concerned with details rather than big picture thinking. But it’s a question of looking at the big picture and then channelling the wisdom you receive into a specific area or subject. Whether you know it or not, you’re exploring a few mysteries this week thanks to Mercury’s arrival in your 12th. What you read, see or hear is going to have a direct impact on the mind/body/spirit connection. And you will take this and apply it to change something that just no longer works for you. The results will enhance your life, your job or even as I said, the life of a four-legged family member. Perhaps that ‘Ah-ha!’ moment is that your preferred method of exercising is walking and the best way to get fit is to buy a dog so you do. That’s just one possible example. Meanwhile, Venus is in one of her most beautiful phases when she is in your 1st. You become a luminous pool of attraction that draws your desires to it. You are simply radiant without even trying to be. Venus entices Jupiter in your 5th and Neptune in your 9th and none can resist that shine. What is it you want, Cancer? This is one of your best weeks of the year so far for romance, travel or attracting opportunity. People want to say ‘Yes’ to you. It’s always so much easier to ask or believe what we want is possible when we feel good about ourselves. Make that your priority this week. In a nutshell: This week’s full Moon is all about utilising your intuition in practical ways. Especially when it comes to your work or wellbeing. Get a healthy dose of spiritual truth this week, Cancer. You’re in a mood to party, to indulge, to play, to get yourself noticed in any way you can. Must be a full Moon in your 5th, Leo! Your 5th is the sign of Sagittarius, that philosopher explorer. And also that zodiac escape artist. That’s the thing with Sagittarians and why they have a reputation for being ‘flighty’. One never quite knows if they are running towards something – or away from it. Sure, they use the excuse they have to go check what’s over that horizon and report back to the rest of us. But quite often, it’s just that – an excuse to escape the boring day job, the partner they feel ties them down. I could go on and on but you’re getting the picture. And you’re probably saying: Flighty? Me?! This full Moon is wonderful under which to kick-start a romance, launch that creative project, travel or just in general strut your stuff to the adoring masses. But this Moon can have you over-indulging in anything from a shopping binge to a drinking one in order to escape something that has become humdrum or restricts you. You know what that is even if you are ordering another bottle of wine and claiming you don’t, Leo. Before you wake up with a sore head and/or a maxed out card, step back and ask yourself what you are escaping from – even temporarily, instead. For many however, this full Moon is all about starry-eyed fun and good times. Especially with Mercury in your social sector the following day. But if you do need to look closely at what is truly driving you then you have help this week thanks to Venus in your 12th of revelations and spiritual truths trineing Jupiter in your 4th and Neptune in your 8th. Remember, when the Moon is full it is opposing your ruler, the Sun. This can have you acting out of character of confused. This time however you can see whether your desires spring from a true desire to shine – or to compensate for where you aren’t. And adjust accordingly. In a nutshell: Time to launch something this week, Leo. Is it an event? A venture? A love affair? Or simply just you? Run towards what makes your heart beat just that little bit faster this week. Are you the cocoon or the butterfly? This week’s full Moon falls in the Moon’s ruling 4th in your chart. There may be an emotional push-pull happening. Your sensitivity will increase as it does under any full Moon. But also that feeling of being pulled in two directions. On the one hand – you may feel like staying home, cocooning, nurturing and being nurtured. But on the other hand there may be the desire to be ‘out there’ in the world, and for something bigger. Which one is exerting the biggest pull on you Virgo? You may be faced with a decision at this time which involves some or all of these themes. If so, my advice is to wait a day until ruler Mercury arrives in your 10th to make a decision. You’ll be able to step free of conflicting emotions and see things very clearly then. I needn’t emphasise the point that with your ruler in your 10th career matters are highlighted now. Pushing out into the world in professional terms should be high on your agenda. You’ve the ability to sell yourself and your ideas effectively and impress people in positions of power and authority as you do. This is also a fabulous time to be networking due to Venus planet of love and money in your 11th. New contacts can be made and you create a favourable impression with everyone you meet no matter in what context this occurs. Venus also aligns to Jupiter in your 3rd and Neptune in your 7th making this excellent for all kinds of business transactions. Just ensure you test the waters here as there is the slight tendency for someone to talk a good game but when push comes to shove, be unable to deliver what they promise. The same goes for romance. Give any connection time to prove itself and ensure they can deliver the goods. In a nutshell: You could feel pulled in two different directions but this won’t last. 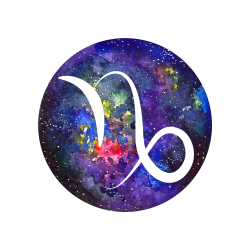 You’re setting yourself a success schedule and following it whether it’s towards business – or love, Virgo. Is it luck or is it you taking the initiative? If ever there was a week to sell yourself and your ideas, this is it, Libra. There’s a cosmic conspiracy afoot of the very best kind. 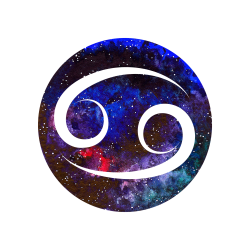 Full Moons bring up decisions and the one that shines out from your 3rd of communication and commerce on the 29th will involve a decision that sets you free. But getting to it may involve you bringing a project or plan to a conclusion now. Watch for the results or news around this when Mercury enters your 9th of expansion on the 30th. Many of you could find yourselves travelling now. If not for fun then possibly for work. If so, expect a ‘lucky’ connections or coincidences. Mercury makes a door-opening angle to Mars who occupies your house of romance and attraction. Receive a boost when it comes to being able to express yourself and your ideas. Whatever you want to experience take the initiative now. Don’t wait on the sidelines. Mars in here says participate and initiate. Be attraction in action and radiate heat. Others will want to get warm, believe me! Ruler Venus shines on your career enhancing your professional reputation and image and seeking to increase what you’re rewarded with too. Venus aligns to Jupiter in Venus’s ruling 2nd and also to Neptune in your 6th of work. The result of all this could be not just an enhanced standing professionally but an enhanced bank account to go with it. Create a schedule, system or routine that allows you to fully express your talents and skills this week. Then get ready to cash in on the benefits. In a nutshell: Ruler Venus is set to get you noticed or give you an opportunity to shine at what you do now, Libra. No more waiting in the wings. This week is your call to action. What is the need behind the need? The full Moon in your 2nd shines on your money, possessions and values, Scorpio and there’s no escaping that spotlight! The Moon rules our emotions and how we feel about things, rather than how things actually are. Yet, how we feel is usually the defining factor about anything. How you feel about what you have, rather than how much you actually DO have, will determine whether you see yourself as cash-strapped or cashed-up. Full Moons reflect. So, if you feel money is in short supply you need to look across to your 8th house which rules your personal empowerment and also your debts should you have them. Are too many of the latter impacting on your cash flow? Or have you got things under control? Mercury is about to enter your 8th the day after the full Moon and this is your ruler of transactions and commerce. If you discover you do have too many debts Mercury in here can aid you in negotiating payment terms or refinancing if necessary. Also this is a fabulous full Moon under which to examine why you buy the things you do. Is it because you will use them or is it about emotional need? At the end of the day, the only way to save money is to spend less of it. Look to what you have bought that adds value to your life and you use. I’m not saying don’t buy. Just look at why if you feel your money or your possessions own you and not the other way around. You have so much going for you this week Scorpio. Venus rules that bank account and sits in your 9th – Jupiter’s ruling house. Angles of attraction to both Jupiter in your 1st and Neptune in your 5th result in a Grand Water Trine which is lucky for both money and romance. Hopefully that full Moon set you on ‘Ready to receive’. If you are, abundance is ready to find you now. In a nutshell: It’s not how much you have. It’s more about what you feel about what you’ve got. This week is all about your values. To attract what you want, know you’re valuable enough to receive it! Do you like what you see in the mirror this week, Sag? The full Moon in our 1st is usually all about us, our image, how we ‘advertise’ ourselves and how the world perceives us. Because full Moons reflect. How do you want to be seen? This week’s full Moon may show you how others see you and also give you the opportunity to make any adjustments. Does how you look on the outside no longer reflect who you are on the inside for example? If so, time to bring these into alignment. Make that appointment with the stylist for a new cut and/or colour. Have a makeover. Try on some different outfits to what you would normally wear. How do these make you feel? Like the authentic ‘real’ you? This Moon is all about being seen as we want to be seen by others. The results of this could be almost instantaneous especially when it comes to any kind of relationship. You feel more confident, more bolder and more real. 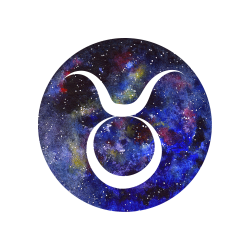 Mercury in your partnership zone from the 7th gets you talking about relationships and flirting with prospective ones. Doesn’t matter if they are business or personal especially when Mercury trines Mars in Mercury’s ruling 3rd on the 1st. You’re ready to start a conversation or make a bold move. Venus in your 8th points to that personal or relationship transformation – or maybe a bit of both. Alignments with ruler Jupiter in your 12th and Neptune in your 4th means you know intuitively what needs to be done. Change how you feel about yourself and you’ll change how others feel about you. That’s the message for you this week, Sag. In a nutshell: Is it time to launch a new version of you, Sag? This week is a reflection of not just how you see yourself, but how others see you. Like what you see? If not, make those changes now. Carve out some ‘me’ time and enter the dreamtime of possibilities this week, Capricorn. Weave a little mystical Quantum mechanical magic if you want to get more scientific about it. There’s a full Moon happening in your intuitive and psychic 12th. But this house rules anything that’s hidden. And that includes other dimensions and ways of seeing what we call ‘reality’. You’ll receive benefits from any down-time now that have practical applications in the real world. The 12th is our house of escapism and sometimes this is what we need to do. At least for a few hours. Special message can come to us via our dreams, psychic messages or intuition. So have a journal handy to record these as and when they appear. Take care however not to consume too much alcohol or other substances under this Moon as it will interfere with any insights and affect your judgement more than under any other full Moon. 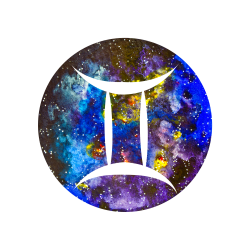 Those practical applications for what you intuit can appear as soon as the day after as Mercury planets of business and communication lands in his ruling 6th in your chart. Look to your daily work, responsibilities, wellbeing and routine and see where these can be adjusted or changed for the better. This is a wonderful transit for anything work and business related. If you are considering a job change, time to apply. It’s also a fabulous time for love with Venus occupying her ruling 7th in your chart. Looking to meet someone new? Heart connections can be made as Venus stretches across to Jupiter in your social and wish-fulfilled 11th and Neptune in your 3rd. This could usher in someone with whom you feel a deep spiritual bond. Whether it’s friendship or more, if you can dream it, you can create it this week, Capricorn. In a nutshell: Never underestimate the practical uses for your intuition. There could be no such thing as ‘wishful thinking’ now. Just goals waiting to be manifested, Capricorn. Where does your imagination want to take you? Mine that network now, Aquarius. You should be totally tuned in to the vibe of this week’s full Moon in your 11th of yes, all things Aquarian with an additional touch of love and freedom thrown in. This is your house of hopes, goals and dreams. And also the house where you can stretch your imagination. Take a look now at what you believe is possible. Full Moons bring choices and decisions and as this is your house of goals, plan for the future or set new ones now. Full Moons also reflect so a full Moon in your 11th reflects back at your house of creativity and romance. Looking for someone just like you? Or even friends who share your interests? Then you definitely should be out and about now as Mercury zooms into your flirty 5th from the 30th. Mars in your 1st puts you in touch with your personal power and yes, adds to your confidence and over-all sexiness. 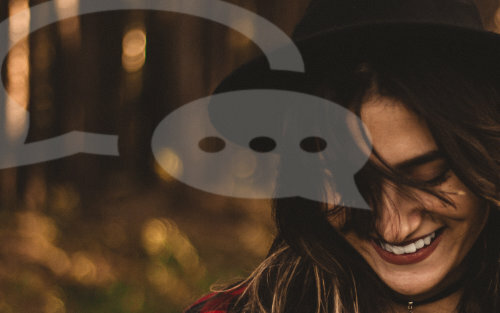 There’s no better time to reach out and connect as who are what you are looking for is probably seeking you too! Venus in your 6th makes career and bank-account enhancing moves to Jupiter in your 10th and Neptune in your 2nd. You need to ensure you don’t neglect the details now. Keep a schedule or a diary and respond in a professional manner. Whatever you do, don’t be slapdash or allow your mind to wander when it comes to work. If you respond in an intuitive yet practical manner, look at the big picture yet dot your I’s and cross those T’s, you could scoop up the acknowledgement and the rewards now. Let others see just what you’re made of this week. In a nutshell: That network could turn out to be your best resource this week. Looking for someone on your exact wavelength? They could be a click away, Aquarius. Attract attention – or even love! Don’t even try to stay in the background under the full Moon that appears this week as it is turning its light on you. And not only that, it is illuminating the path ahead for you in terms of your career. This Moon can have you looking at your career so far. Your successes and your failures and whether what you have been engaged in has delivered on its promise. It’s not about the money so much as the emotional take-out and rewards. Does your career continues to give you soul satisfaction? This full Moon will illuminate any shortfalls. You are on display as I said, so ensure professionally you are seen in the best possible light but people in positions of authority. 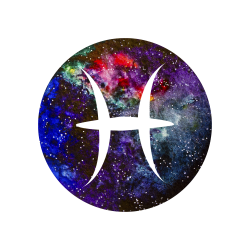 This Moon allows you to make huge inroads into career goals and also to impress, but remember, the Moon rules our emotions. Of all full Moons this is the one where you cannot afford to get over-emotional. There is a saying there is no room for emotion in business so please remember this under the influence of this Moon. That does not mean you don’t feel. Just that you need to keep your game face on at this time. 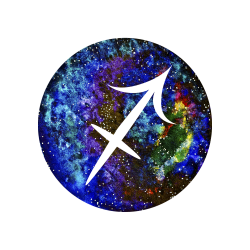 Mercury enters your 4th this week opening up the potential to plan for the long term. So, whatever is happening in the present, have one eye on the future too. Venus is in your other house where you get the chance to shine – your 5th of romance, creativity, pleasure and children. One way or another this week you are set to get noticed. Venus angles to Jupiter in its ruling 9th and your ruler Neptune in your 1st at the start of June. This could see you getting that acknowledgement or break on the career front. Or being noticed for other reasons. Parties and celebrations may feature as does attraction. This is an excellent transit under which to attract love. You’re centrestage this week. Enjoy the spotlight, Pisces. In a nutshell: It’s a week to get yourself noticed. For what you have accomplished or just for who you are. People are watching you for all the right reasons. Time to get your game face on! This week is a week of love. Venus the planet of love is switching signs and Vesta the Goddess astroid of love and the home is whispering what we truly need.